Schools in England are being promised an extra £1.3bn over two years, as the government responded to pressure from campaigns over funding shortages. But the cash for schools will be taken from elsewhere in the education budget, such as spending on free schools. The Institute for Fiscal Studies says it represents a real-terms freeze on school budgets for the next two years. 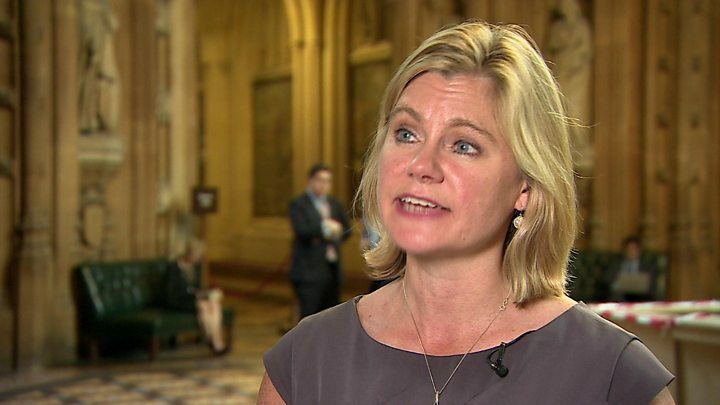 Education Secretary Justine Greening told MPs she recognised there was public concern over school funding. Ms Greening told the House of Commons this "significant investment" would help to "raise standards, promote social mobility and to give every child the best possible education". But Labour's shadow education secretary, Angela Rayner, said: "This is all being funded without a penny of new money from the Treasury. "They are not committing any new money and have not been clear about exactly what programmes they will be cutting to plug the funding back hole." 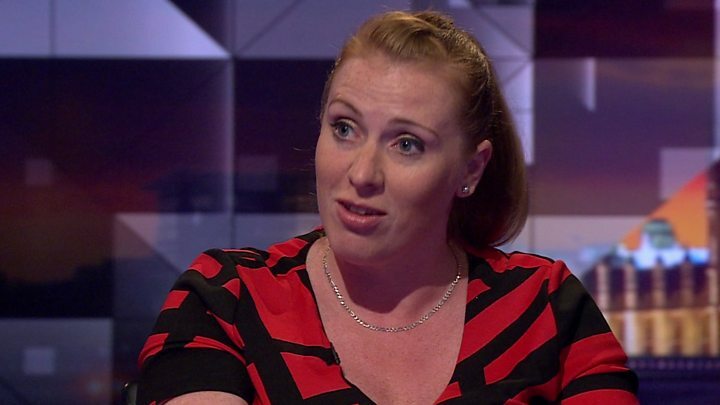 Media captionAngela Rayner: "They've taken with one hand and put it in with the other"
But Jules White, a West Sussex head teacher who co-ordinated a campaign over funding shortages, said: "The government finally appears to be listening." But he cautioned that any increase would need to keep up with "rising pupil numbers and inflationary costs". Is school funding the next crisis? Geoff Barton, leader of the ASCL head teachers' union, said this was a "step in the right direction and an acknowledgment of the huge level of concern around the country on this issue". But he said schools would still have to see the implications of the money being "saved from elsewhere in the education budget". Chris Keates leader of the NASUWT teachers' union called Ms Greening's statement "a recycled announcement of recycled money". Jo Yurky, who headed a parents' campaign over funding, said this was "positive news" and an "amazing turn-around" in attitude from ministers, but pressure needed to be kept up on protecting funding. A joint statement from the NUT and ATL teachers' unions accused the government of "smoke and mirrors". "Whilst any extra money is welcome this isn't enough to stop the huge cuts that schools are making," said the teachers' unions. School funding became a major issue during the general election, with school leaders and teachers' unions warning that budget shortages would mean cuts to staffing and subjects. They pointed to evidence from the National Audit Office and the Institute for Fiscal Studies, which warned of £3bn funding gap and schools facing an 8% real-terms budget cut. During the election, the Conservatives had promised an extra £1bn per year, which on top of planned increases, would have meant the core schools budget rising by about £4bn in 2021-22. Most of this extra funding was going to come from scrapping free meals for all infants, a policy which was subsequently ditched. Under the plans announced by Ms Greening on Monday, the overall core schools budget will rise by £2.6bn between 2017-18 and 2019-20. All schools will receive at least an increase of 0.5% in cash terms. The Liberal Democrat education spokeswoman Layla Moran said: "This is a desperate attempt to pull the wool over people's eyes. "Schools are still facing cuts to their budgets once inflation and increasing class sizes are taken into account." As well as concerns about the overall amount of money available, there has been controversy over how it is divided between individual schools. A new National Funding Formula was announced by education secretary Justine Greening before Christmas. Ms Greening said the new formula would go ahead and would address unfair and inconsistent levels of funding. Under the new arrangements, from 2018-19, the minimum funding per secondary pupil would be set at £4,800 per year. For many years there have been complaints that schools in different parts of the country were receiving different levels of per pupil funding. Details of an updated version of the formula, with budgets for individual schools, are being promised for the autumn.